Strathclyde Police has launched an inquiry into Jamie Burnett's 9-3 first round loss to Stephen Maguire at the UK Championships in December 2008. The duo have been under investigation by the Gambling Commission over irregular betting patterns. The World Professional Billiards and Snooker Association (WPBSA) has also been conducting its own investigation, which is ongoing. The Glasgow-based pair face each other at the World Championship next week. Several bookmakers stopped taking bets on a 9-3 scoreline during the game played in Telford on 14 December, before Maguire went on to win the match but only after Burnett missed an apparently straightforward black in the final frame which would have made the score 8-4. Burnett, 33, said he was aware of the betting patterns when playing the match against his practice partner, adding that the extra pressure had affected his performance. Maguire, the world number two, told the BBC in January he was confident the investigation would not uncover any corruption, adding: "If I had something to hide then maybe it would bother me but I've got absolutely nothing". 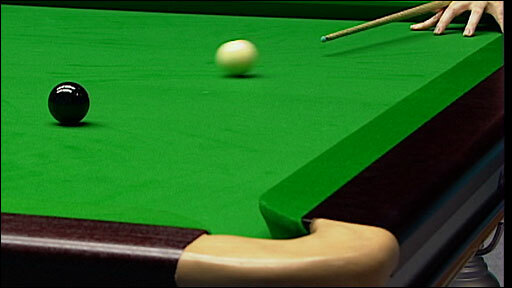 Burnett will play Maguire at The Crucible in the opening round of the World Championship on Wednesday 22 April. A Strathclyde Police statement said: "Strathclyde Police economic crime unit can confirm that after consultation with the Procurator Fiscal's office we are carrying out official enquiries into the matter." A statement from Maguire's management company, 110sport, confirmed that the 28-year-old would "meet with police officers in the near future". The statement added: "It is regrettable this matter raises its ugly head on the eve of snooker's biggest event, the World Championship in Sheffield. "It is ludicrous to suggest that Stephen Maguire, the world number two, would in any way be involved in alleged unusual betting activity."